Tracking SEO performance can be a daunting task… you may not even know where to begin or what to look for. Ultimately though, when you report data (for either yourself or your client), you want to make sure the data you’re tracking is worth looking at. Google Analytics, SEMrush, Ahrefs, and Bing data can all be individually confusing and unhelpful, because just one of them doesn’t give you the big picture of your entire strategy and your overall performance. Luckily, tools like DashThis make SEO KPIs (Key Performance Indicators) simple to put together in the same dashboard, no matter which system the data comes from. In this article, I will show you the most important SEO metrics that you should track in your SEO dashboard, and how I’ve used this comprehensive data to come up with valuable insights and create actionable plans for my clients. Understanding where your organic traffic is coming from and what it does once it gets to your site is very important. Across the board, organic traffic continues to be the most relevant traffic for audiences. This makes sense, since Google’s algorithms are becoming more and more “intelligent”, basing page rankings not only on keywords, but also on user intent, interest, and semantics. Basically, when Google delivers your content to a user, it’s because your content is truly tailored to that user’s search. It’s therefore crucial to track how your content performs organically, because you always want to make sure that you’re getting in front of the right people at the right time, and for the right reasons. Having your content drive organic traffic is your way to do that. Because organic traffic is the most valuable traffic your website can obtain, you want to see what you can do to optimize your content and bring in more users. If you understand the history of your website’s organic traffic, you can then determine what amount of traffic growth is realistic for your company, and thus create specific benchmarks and goals for you to reach over time. Remember that this number will not be the same across companies. If you manage multiple clients’ marketing efforts, it’s important to not compare one company’s numbers with another: 200 sessions may be high for one company while 500 is low for another. I like DashThis’ Google Analytics preset widget that shows organic sessions over the course of the year. Because SEO is a long term game, it’s important for clients to see improvements over time and not just month over month. In the graph above, we’re able to determine that strategies we put into place back in March are being successfully harvested in December: our client is seeing their highest numbers all year. If we just compared March to April though, where we had a slight dip in numbers, one would think that our marketing efforts weren’t working so well. That’s why it’s important that the entire picture be shown. We can also show other complementary SEO metrics like users and new users to show the correlation between different metrics in an easy-to-view way. Domain authority (DA) is a search engine ranking score that was created by Moz. It’s a score that predicts how well a website will rank on search engine results pages (SERPs). In other words: the higher your DA, the more likely your page is to rank high on search engines. You can track your domain authority directly using either Moz or Ahrefs and then look at its evolution with a historic widget in DashThis. You can also compare your DA with your closest competitors to see how theirs is growing in comparison to yours. In order to grow your domain authority, having new authoritative backlinks can help tremendously! You can track your new backlinks through Ahrefs and display them in list form within DashThis. You can also track all referring domains to see every website that is now pointing to you, or external backlinks to have a list of all the links from all domains. By adding a historical widget to the equation, you will be able to track the number of backlinks you get through time and how that number evolves. Of course, not everyone who visits your website will convert into a paying customer, especially not on their first visit. That’s why the number of leads and conversions is crucial to include in your SEO KPIs, in addition to your overall traffic. You should be tracking how many high-quality leads come from your SEO efforts as well as which specific sources they come from. Most of your leads will come from organic search results on Google, but you’ll also see leads coming from other sources such as Duck Duck Go and Bing. High-Quality leads are different than just tracking all leads that come from your search traffic for a lot of reasons. For example, sometimes lead-generation forms submit multiple times in a session and therefore count twice. Other times, the leads that do come in are obviously spam, while others are simply less likely to buy. For example, if your leads are entering via a very educational blog post, chances are that their intent is not to buy right away. On the other hand, someone who clicked directly on a landing page for a specific product or service is a way better-qualified lead. When you show this data to a customer and say “we got 500 leads” but only 50 are high-quality leads, then you paint a different story. That’s why it’s important to be upfront about the true number of quality leads that were brought in. Google Analytics preset widgets are a great way to show how many high-quality leads (aka. Those that completed conversions the way that you wanted them to) you had month over month for the entire year. You’ll be able to present information to your client in a positive way and show how your efforts are leading to a rise in conversions. I like to customize these widgets based on specific conversion; in the case shown above, the number of contact form submissions. This will exclude other forms of conversions that are possible on my site, like specific customer support request or specific location questions. I like this widget because it updates automatically so that you can see long-term trends and therefore saves you a ton of time managing dashboards manually. If conversions are falling during specific times of the year, you can even check if it’s normal (by looking at your widget year-over-year), or correlate the trend with your strategies and therefore diagnose ways to fix it moving forward. For example, if a December campaign for the holidays just didn’t work, in future meetings, you’ll be able to easily look at that time period when the conversions fell and know why it didn’t work. I like to dedicate a specific section of my dashboards to indicate where leads and users are coming from. This allows me and my clients to better understand user behaviour and where to put more/less effort based on where the highest-value leads tend to come from. By using a multi-column widget, I can put together specific metrics that show how users from a specific source are interacting with my website. By doing this, you can better classify your leads according to user intent. For example, you could divide the leads you got from blog posts from the leads that came from a landing page, so that you can have a better view of where your most qualified leads tend to land when they come to your site. You can also use year-over-year data and historical widgets to see how your total number of leads evolved over time. This way I can look beyond conversions coming from a specific source and see how many users there were and how engaged they are. What if you have no conversion data? While an increase in number of leads is important in helping you put a value on your organic SEO work, but you need to know how to act on this data. In addition, you need to know how to act when there aren’t any conversions; there’s always a bigger picture to look at and the following other SEO metrics really help diagnose any issues at hand. For example, if you’re not seeing a high number of leads from organic sources, you can instead focus on other metrics and goals for your SEO: page views per session, session duration, organic traffic by landing page… Basically, even if your number of leads is low, if the leads that ARE there are consuming your content and converting nonetheless, that might be enough for now. When it comes to tracking specific keywords you’re ranking for, my go-to tools are SEMRush and Google Search Console. Luckily, both have APIs and their data is available to display in DashThis. As you know, ranking on the first page of a search engine for your chosen keywords is important; it’s exceedingly rare for users to look past the first page when they’re in the research phase. NOT being on the first page is highly detrimental to the amount of traffic your page receives. With this in mind, keyword positions are very important. I like to understand where my clients are ranking for all of their keywords, because it gives me more insight into the types of content that we need to have written, or which existing content can be optimized. For example, if I notice question-based terms that I’m ranking for on page 5, but I know I already have a relevant piece of content that answers this precise question, then I know that with just a little bit of optimization, I can push that page to rank higher and therefore get in front of the right audience. I use SEMrush to report on overall keywords I rank for. I can also show whether keywords have gone up or down in organic rankings. This helps me understand which keywords are gaining traction, and which ones are dropping and that I need to work on. Search Queries are the actual terms that users typed into a search engine and lead them to end up on your website. Search queries aren’t necessarily the same thing as your keyword positions, since your keywords might rank for certain search queries, even if the terms aren’t identical. Understanding your audience’s search queries though, can really help you understand their user intent when they’re searching for your type of content. Next, I make “query” my dimension; this will allow me to see which search query keyword are bringing visitors to my site. If some keywords are valuable, but not getting clicks, I can see whether or not it’s a lack of impression issue, or a low ranking issue. How to Use this Data to Improve Keyword Rankings? Combining my keyword ranking data from from both SEMrush and Google Search Console helps me come up with ideas of what to optimize. For example, if my ranking is high but my click through rate is low, it can either mean that the user intent isn’t what I thought it was, or that my meta title and description aren’t correctly showing what my content is about. If I then make adjustments to my meta, I’ll make a note of this action in the notes section of this widget. This way, if these numbers change, I’ll be able to attribute an improvement to a specific action I took. Creating events in Google Analytics is extremely helpful when understanding user behaviour on my clients’ websites. Events are basically actions - like clicks on particular elements on your site - that you want visitors to perform. Why track events? Because understanding what users do - and how you can make sure that they complete the actions you want them to - all goes through your SEO! Brian Dean has explained that a huge factor in SEO rankings comes from how RankBrain utilizes dwell time. Dwell time essentially measures how long users spend on your website before they decide to “pogostick” back to the search engine results page (if they don’t like your content). Longer dwell time is a huge ranking factor in Google because it tells the search engine that users are interested in your content and want to continue to read it. Since this directly helps with rankings, you’ll want to measure and optimize your on-page events from Google Analytics. Tracking whether or not they are clicking these elements is useful to know. This allows us to see what those specific users are doing on the website after they’ve told us what they’re interested in. Top Event Categories shows a breakdown of what users are doing on your website. I like to include other engagement elements, such as how far users scroll within a page, or how they engage with YouTube videos embedded within the website. In the example that I mentioned above, we can confirm here that more users are clicking switch now over get started. Obviously, the content speaks to people a little more, so maybe I should be putting more energy there. Optimizing your page for SEO shouldn’t only be about keywords and DA, but also about the user intent. And for this, you can look at your bounce rate, which is similar to the aforementioned dwell time. You bounce rate will effectively indicate whether your page satisfies the user intent. After all, if you want an explanation on a particular topic and end up on a product page, you’ll bounce back to your search results quickly! But bounce rate can also indicate other problems, such as a slow loading page. If the page you clicked on takes too much time to load, chances are that you’ll go back to your search and click on something else. If you suspect this is the case, you can try to correlate page load speed to your bounce rate - after all, not all issues are just about your SEO! Obviously, there are a ton of SEO metrics you can, and should, be tracking in your dashboards for your clients, but that doesn’t mean you should track everything. Focus on what your clients need to know rather than what would be nice to see in a report. Data overload is an issue and you want to be sure your customers completely understand what they’re seeing and what action can be taken for improvement. If you can automate these tools the way DashThis does, you’ll be able to spend more time analyzing and less time creating reports. So why don’t you take a look at DashThis’ SEO reporting software, and create your own SEO report in no time by starting your free trial? 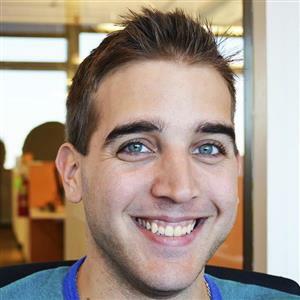 Nick Groh is a Senior MarTech Consultant at Miles Technologies where he specializes in SEO and paid online efforts (Google Ads and Facebook) to bring in more leads for his customers.